On this page, you can view some of my project examples. Click on any of the links to see what I have done before in the media: newspapers, text-books, magazines, blogs, radio and television. I love the media, and I really love the act of writing. All of my working years have been spent on communication and writing. I recently wrote nine chapters for three tertiary education text-books on the topic of Branding, which I am really chuffed with. The chapters that I wrote focused on The Origins and Evolution of Branding, Brand Management, the Brand and Neo-tribes, Luxury Branding, how to create a brand personality and other brand aspects. World Editors Forum of World Association of Newspapers: Will a freebie a day keep the other papers at bay? 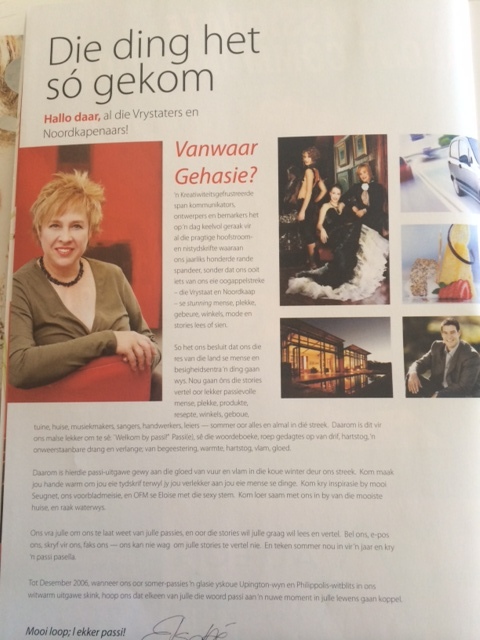 http://m24arg02.naspers.com/argief/berigte/dieburger/2008/05/14/SK/6/radio.html Nog ‘n goeie onderhoud was Anita Visser wat in Spektrum (RSG, weekdae 13:00-14:00) met Dr. Elsabe Pepler van UOVS se Kommunikasiekundedepartement gesels het oor die polemiek aangaande die SAUK-raad. 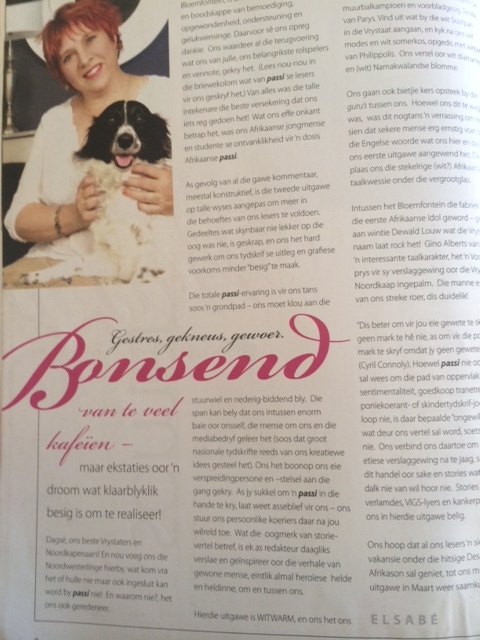 Pepler se insig en formuleringsvaardigheid was uitstekend, en sy het die binnepolitiek by die openbare uitsaaier in leketaal vir luisteraars verduidelik sonder om doekies om te draai of kant te kies. 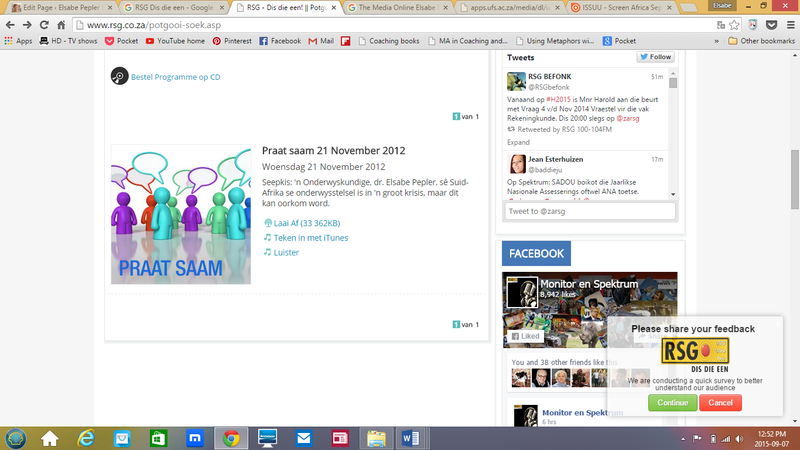 http://www.mediaupdate.co.za/media/4354/passi: July saw the launch of Notshi Publishing’s new magazine, Passi. 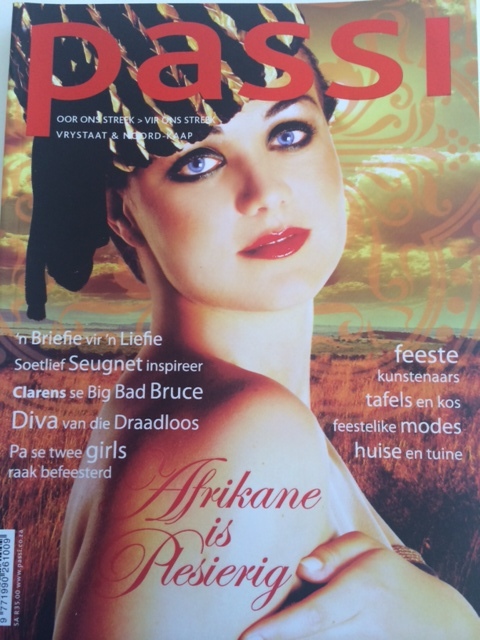 Edited by Elsabé Peple Passi magazine serves as the Free State’s and Northern Cape’s proud regional glossy. 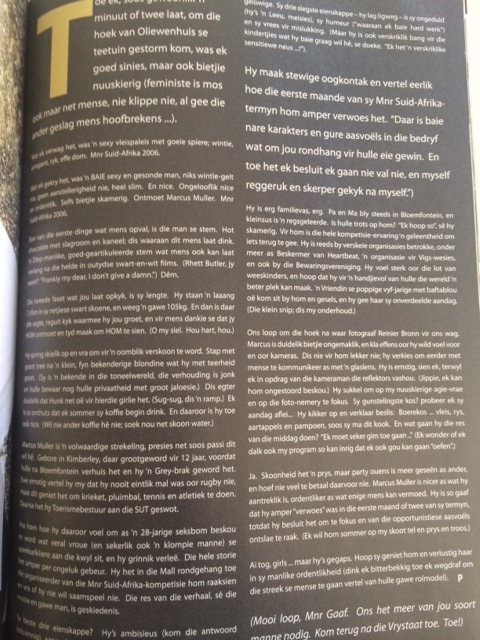 Pepler, who is from the Free State, says her motivation came from the dissatisfaction she felt when reading mainstream glossy titles, and not being able to get her hands on the featured restaurants and clothes based in Johannesburg and Cape Town. Passi aims to provide that opportunity as it tells the unknown stories of the places, people, houses, gardens, towns, history and secrets in these two provinces that have never been told before. 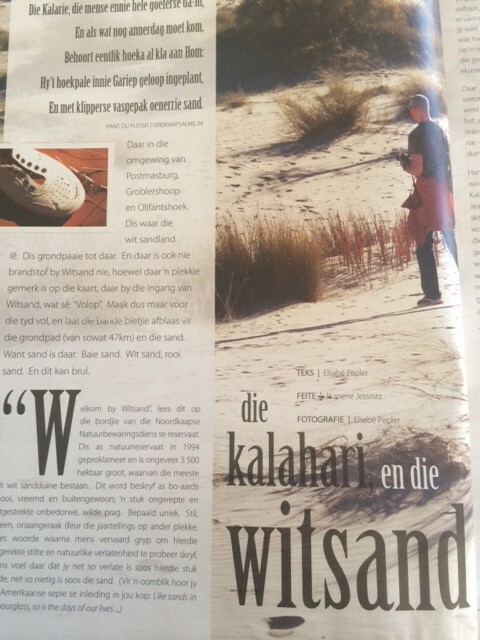 It showcases the quality of life from Kimberley to Kroonstad. This also creates a platform for marketing and advertising enthusiasts. Passi is taking South Africa by storm in promotional projects at all the major arts festivals. The first edition of the magazine boasts with 168 glossy pages filled with quality editorial content and beautiful photography. The first issue had a print run of 20 000 copies.